At this moment, you ought to have known that consuming lots of fibre is very important for a healthy digestive system. That is if you have been following lots of my post that talked about healthy eating and digestive health. But a very big question have been ongoing for some time now. 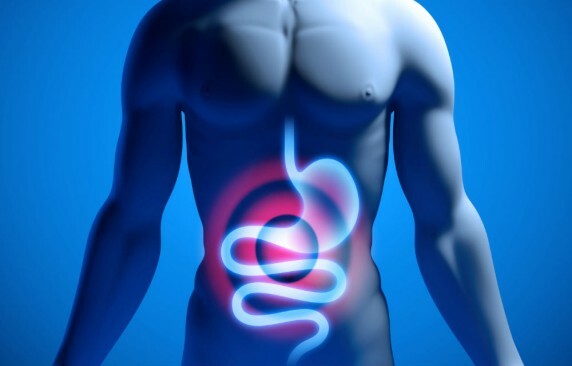 Some people have been asking if there are any particular foods and vitamins that can help prevent bowel cancer and some other digestive disorder? Well, an expert nutritionist currently gave an answer to that bug question, which I will be sharing with you in this post. Studies have proven that diets that includes vegetables, fruits and whole grains may help to reduce the risk of bowel cancer. This is due to their active vitamin, mineral and fibre content. Some important antioxidants found in these foods are; carotenoids, flavonids, selenium, folate, and vitamins C and E. All these can help protect cells from damage. When you eat a variety of brightly coloured plant foods, it ensures that plenty of important antioxidant vitamins are included in your diet. Additionally, fruits and vegetables, unrefined or whole foods such as potatoes in their skins, beans, brown rice, whole grain bread and cereals are said to reduce the risk of bowel cancer. As a result of their high fibre content , whole foods tend to move through the digestive system quickly. A reduction in stool transit time is an important factor in bowel cancer prevention. The shorter period wastes are left in your colon, the less likely your bowel will be exposed to toxic chemicals, which can contribute to an increased risk of bowel cancer. A big fraction of your daily requirement for water is channeled towards digestion and the elimination of waste products from your body. Doctor's advice to drink more water ( at least 2L or 6 to 8 glasses per day) is important not only to help you stay hydrated, but also to prevent constipation, which is one of the first symptoms of dehydration. Many of us subject ourselves in a semi-dehydrated state, which often lead to niggling health problems such as bloating, indigestion, irregular bowel movements, headaches and lack of concentration. The key to stay and remain hydrated throughout the day is to drink little and often always. Diets in the United Kingdom often comprises of wheat and therefore gluten (which is often found in barley, rye and oats). While is not everyone that needs to avoid gluten, some can easily go for non-gluten cereal grains, like rice, more often as they are more easily digested and gentler on the digestive system. The starch content found in rice, particularly Basmati rice, is digested and absorbed slowly, thereby providing a steady release of glucose into the blood for sustained energy. For some time now, rice have been used in natural medicine to treat digestive disorders ranging from indigestion to diverticular disease (a condition affecting the large bowel or colon). Rice is also believed to relieve mild cases of diarrhoea and constipation. Pears are considered to be one of the least allergenic foods and they are very gentle on the digestive tract. Hence, the are well tolerated by almost everybody. They are highly rich in the soluble fibre pectin and bioflavonoids, which are powerful antioxidants that can protect against an array of diseases. Pear is also a good source of vitamin C and potassium, which can help to regulate blood pressure. Probiotic bacteria (or friendly bacteria as they are often called) assist the body's naturally occurring gut flora and help in increasing their numbers. Probiotics are often recommended for problems related to the gut, such as diarrhoea, or IBS (Irritable Bowel Syndrome), or when an antibiotics results in constipation. The reason probiotics comes in handy in improving digestive health is because it contains a system of microbes (which is collectively known as gut flora). Some numbers of the gut flora can be thrown out of balance by wide range of factors which includes; the use of drugs, excess alcohol, stress, disease or exposure to environmental toxins. In such situations, the bacteria that functions optimally in your body may decrease in number. These allows harmful competitors to thrive thereby resulting to ill health. Maintaining the health of your digestive system does not only depend on the probiotic intake, but also on the consumption of prebiotics. Prebiotics are nutrients and constituents of food that our gut flora feeds upon, thereby increasing their numbers. Prebiotics include compounds known as fructo-oligosaccharides, which are found mainly in plants such as; onions, leeks, garlic, wheat, artichokes and chicory root. The prebiotic inulin is now being added to cereals and breads, and studies have shown that having about 5g of inulin per day can optimise the gut flora and improve digestion. Prebiotics help the proliferation of the 'friendly bacteria' in the gut, which in turn aids digestion, improves gut health and boosts the immune system. It may also help reduce the severity of food poisoning and the effects of food intolerance. A whole range of herbal teas are aids digestion and help in relieving gut problems. Peppermint tea, in particular assists in digesting food faster after a meal, which prevents bloating and heartburn. Ginger tea can also serve as remedy for stomach upset and also prevent nausea. Fennel and chamomile teas have been reported to help ease the symptoms of IBS, which is strongly associated with stress. These teas can have a soothing and comforting effect, reducing levels of stress and preventing symptoms such as abdominal spasms and loose stools. In conclusion, including some or all of these healthy foods in your diet can be healthy for your bowels and improve your overall digestive system. You can simply offer a favour by sharing this post with your friends on various social media by using the share button below.